Door closers are very practical, because they close the access to our home, but they are also a useful security tool because, if chosen and installed correctly, they provide the guarantee of not leaving the door/gate open. How must a door closer be made to work well and not create problems? 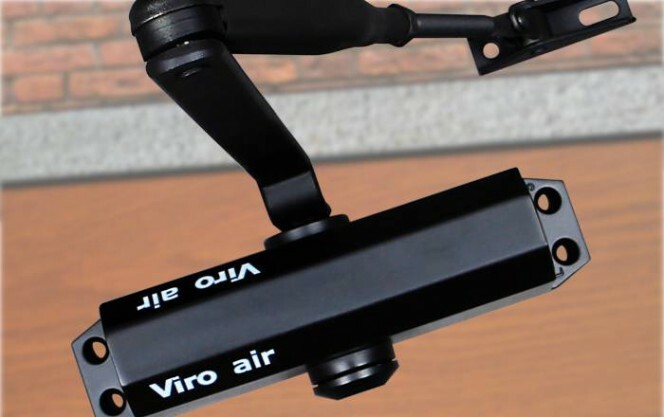 Door closers of the latest generation, such as all Viro models, have the body sealed and do not require the oil to be regularly changed, as was the case in the past. These adjustments, which are usually made by means of specific screws, are important in order both to adapt the action of the door closer perfectly to the weight of the door on which it is fitted and to ensure efficient operation during all weather conditions. In fact, the internal oil viscosity changes according to the outdoor temperature. 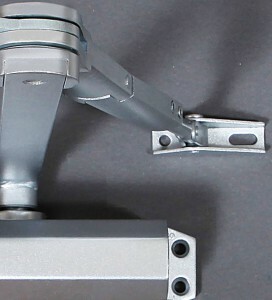 The action of the door closer is therefore subject to natural seasonal variations which may require minor, regular adjustments, to maintain the effectiveness of the mechanism. Good quality door closers, such as all the Viro models, have 2 different adjustments: the closing speed and the final closing force needed to overcome the resistance of the lock latch at the moment of actual closure. Viro door closers have 2 adjustment screws: one for the closing speed and one for the final closing force. Even though door closers are used precisely to always guarantee the closure, there are situations when it is convenient or necessary for the door/gate to be kept temporarily open. For example, when you have to pass through with bulky objects or when you need to pass backwards and forwards several times during a short period of time. For this reason it is important that the door closer is fitted with a stop mechanism, better still if the angle can be adjusted as desired by the user, as is the case with all the Viro models. Viro door closers allow you to stop the door in any open position. Door closers can be applied on both lightweight and heavy duty doors. The first type will require little force to be closed, whilst the second type, on the other hand, will require a greater force. It is therefore important that the door closer is available with a closing force suited to the specific installation situation, or with a single version having an adjustable force as required. All Viro door closers are available in multi-force versions, while the Viro Air is also available in 2 models with a fixed force, one of which is certified for installation on fire doors. Door closers should not be chosen which do not permit the closing force to be selected. It is often necessary to replace an old door closer, that no longer works properly, with a new one. In this case it is best to check that the new model has mounting holes which are compatible with the holes already present to fix the old door closer, or is fitted with an adjustment plate that allows you to use the existing holes without having to make new ones or, at least, has a sufficient size, once installed, to cover the previous holes. Door closers are usually mounted with the body on the door and the arm acting on the door frame or wall. In some situations, for reasons of space or appearance, it may be necessary to install it in the opposite manner: with the body on the wall or frame, and the arm acting on the door. 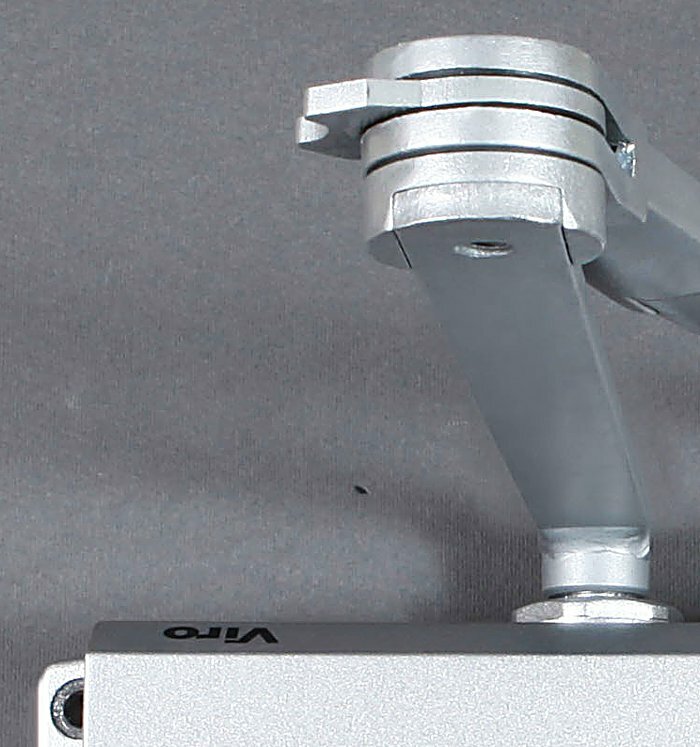 The best door closers, such as the Viro ones, can also be mounted in this “inverted” position. In certain particular situations the body and the arm attachment point may not be parallel, for example, when they are fitted on surfaces which are not “flush”. 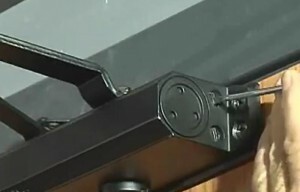 In this case, the arm must be of the swinging type, as in the Viro and Viro Air door closers, otherwise there is the risk that the arm may be damaged when it is subjected to twisting forces. Viro door closers have a swinging arm which also work in the case of surfaces which are not flush. The door closer is, therefore, a seemingly simple object, but it has different features that you should be aware of when making a choice. A bit of effort at an early stage is more than compensated for by the fact that a good door closer, which is suitable for the installation situation, well fitted and adjusted, can work without problems for a long, long, time. On the contrary, a hasty purchase can lead to on-going corrective actions. This entry was posted in No category and tagged products on 2 December 2013 by Mara Rossi.